Let your little ones grow creatively with My First Crayola. All My First Crayola stationery is designed specifically with little hands in mind, providing parents with unique, worry free solutions developed especially for pre-schoolers and toddlers. 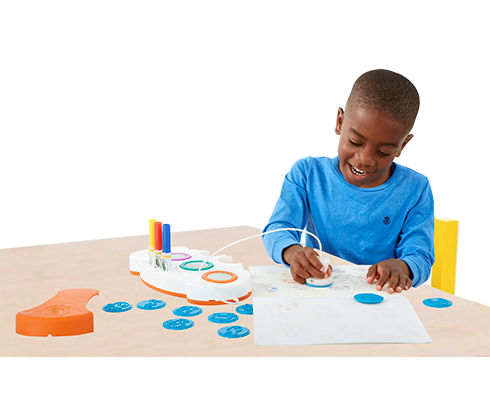 Designed for children aged 12 to 36 months, My First Crayola allows for creative learning through colourful play! 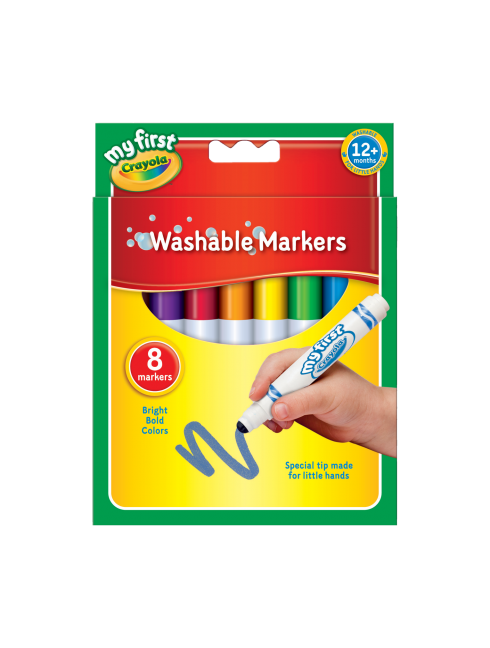 Worry-free colouring fun with these 8 washable markers! Traditional round shape provides a transition to a mature writing grip, The nib has been designed to allow your child to achieve bold strokes of colour at every angle and is safely secured to stop small hands trying to remove it or crush it. Plus the ink rinses off skin, clothes etc, so no need for soap or scrubbing!. Especially created for small hands, Jumbo Pencils are perfect for young children to use for colouring and drawing. 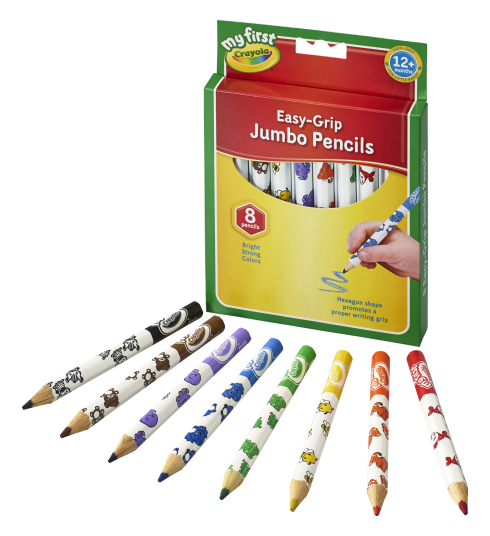 The larger size barrels allows children to grip the pencil more easily and are hard to break, plus each barrel is in a hexagonal shape to promote a proper writing grip. They are also decorated with a fun animal designs. High quality wax crayons that give a smooth colour lay down with no uneven build up or streaking. 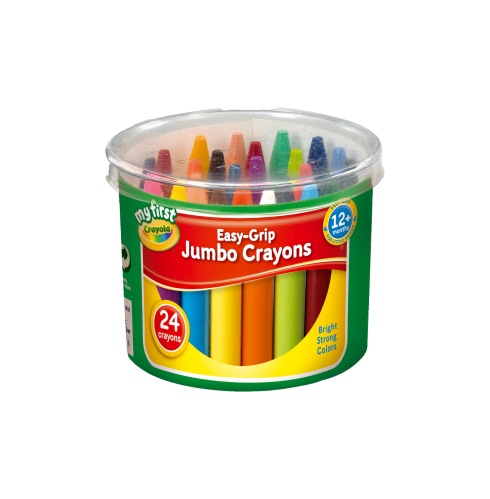 Plus the crayons are double wrapped for extra strength, providing hours of creative fun. Hours of worry free creativity! 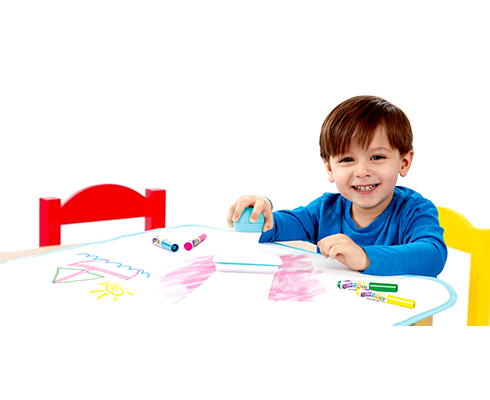 Roll out the huge 90cm x 60cm drawing surface and be creative with vibrant Colour Pop markers, then erase using the colour eraser and then draw all over again. The magic technology of Color Wonder is brought to stamping offering mess free stamping! The ink is clear on most surfaces, but each stamper "magically" shows up a different colour on Color Wonder paper and won't colour on skin, furniture or fabric! Check out crayola.co.uk for more!